Sports vector illustration of people riding bicycles. Different body types, heights, equipment and bikes on the different biker images. Free vector illustrations for all sports, physical activity, keeping fit, workout, health, hobby, ecological transport and biking races projects. 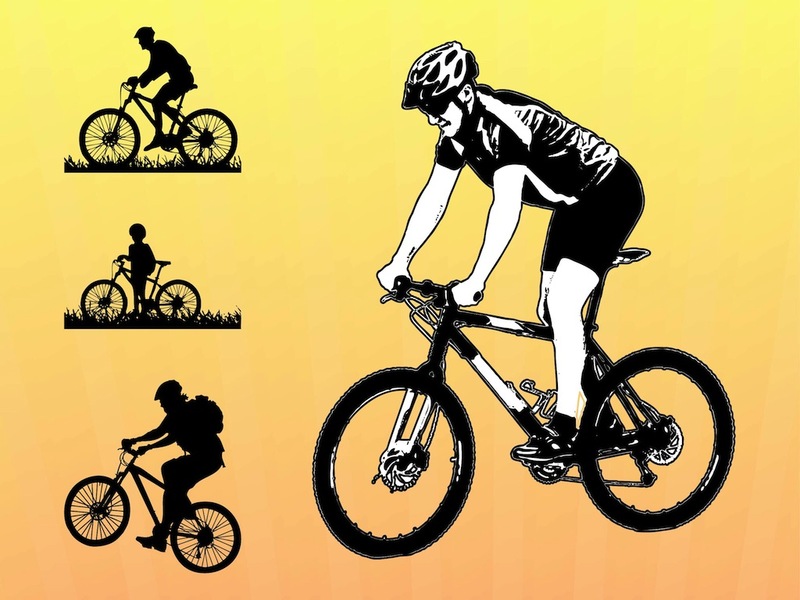 Download biker silhouettes for stickers and decals. Tags: Bicycles, Bikers, Bikes, Health, Helmets, Silhouettes, Sport.